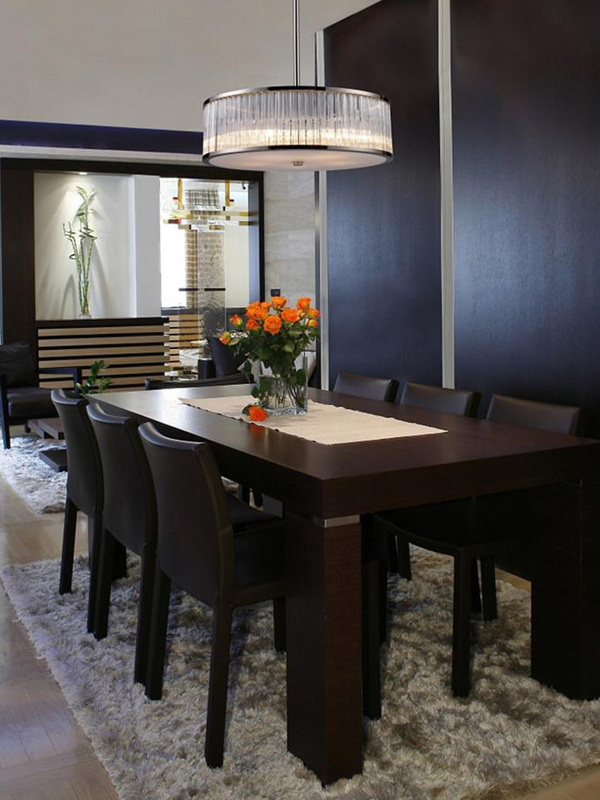 Getting the lighting right in your home can make a big difference in making it a comfortable and functional space. 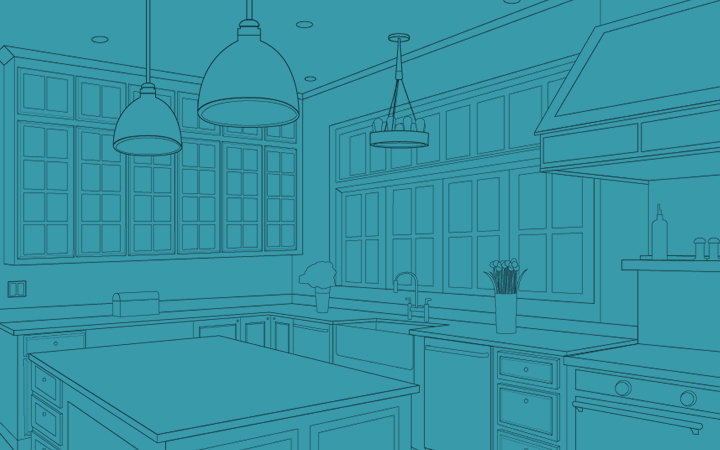 Here’s how adding layers of light will help transform every room. 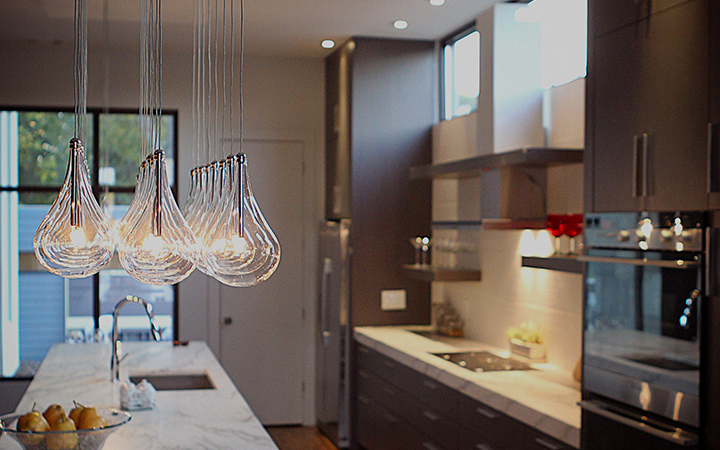 Lighting a home may not be as simple as you’d think—but it doesn’t have to be complicated, either. Comfort, utility and beauty can be achieved using layered lighting: Ambient light to provide general illumination and comfort, task lighting for utilitarian jobs and accent lighting to dress up any room. Layering your lighting simply means stepping beyond the basic overhead general light and thoughtfully arranging different styles of lighting to create a cohesive and functional lightscape. Here’s how! Your first and likely most important layer is ambient lighting. This is the foundational, general illumination that keeps you from stubbing your toe against the dog’s water dish and tripping over someone else’s shoes. Flipping on the light switch and being able to see your surroundings is most commonly accomplished with overhead lights: think recessed lighting, flush or semi-flushmount fixtures or even a ceiling fan with light. Ambient lighting typically comes from an overhead fixture such as a flushmount or semi-flushmount lamp. 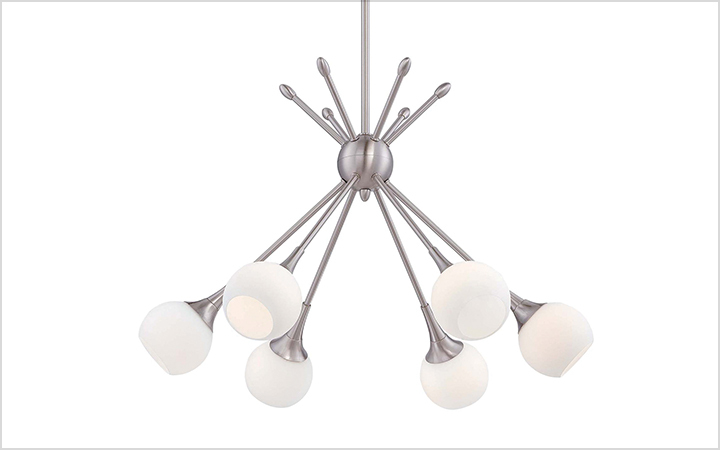 Shown here: Hampton Semi-Flushmount by Hinkley Lighting. Lower lumens are OK. Ambient lighting can be less intense than task lighting—though not a hard-and-fast rule, multiplying the room’s width and length by 20 can tell you about how many lumens you need for general lighting. Square footage matters. When you choose recessed lighting for ambient illumination, approximately one light for every 4 square feet of ceiling is a good starting point. Your needs may vary. A variety of circumstances such as failing vision or architectural obstructions may mean your space requires more lumens to be adequately lit. 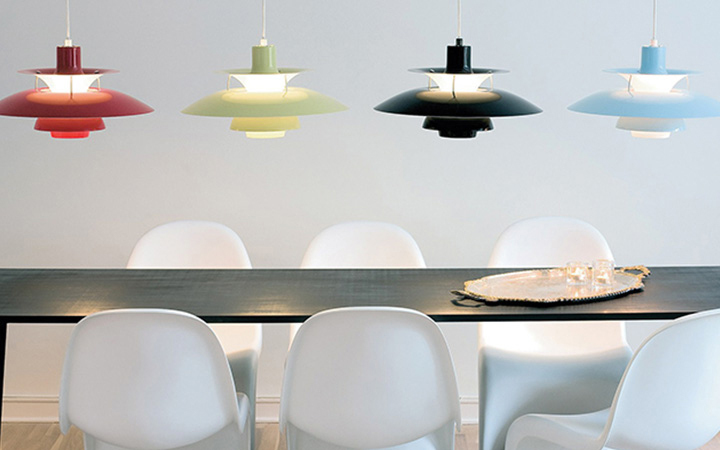 More specialized than ambient lighting, the second layer is task lighting and is applicable in any room of the home. Typically you might think of task lighting as kitchen undercabinet lighting (which is terrific if you actually want to see what you’re doing with that sharp knife) or in home offices as a bright desk lamp for working, reading and writing with ease. However, task lighting is also in the bathroom as the all-important vanity light—who wants to put on makeup or shave in the shadows? And in the bedroom, a bedside reading lamp counts in this category (and just might save your marriage if your partner can’t sleep with your overhead bedroom chandelier blasting so you can see your book). 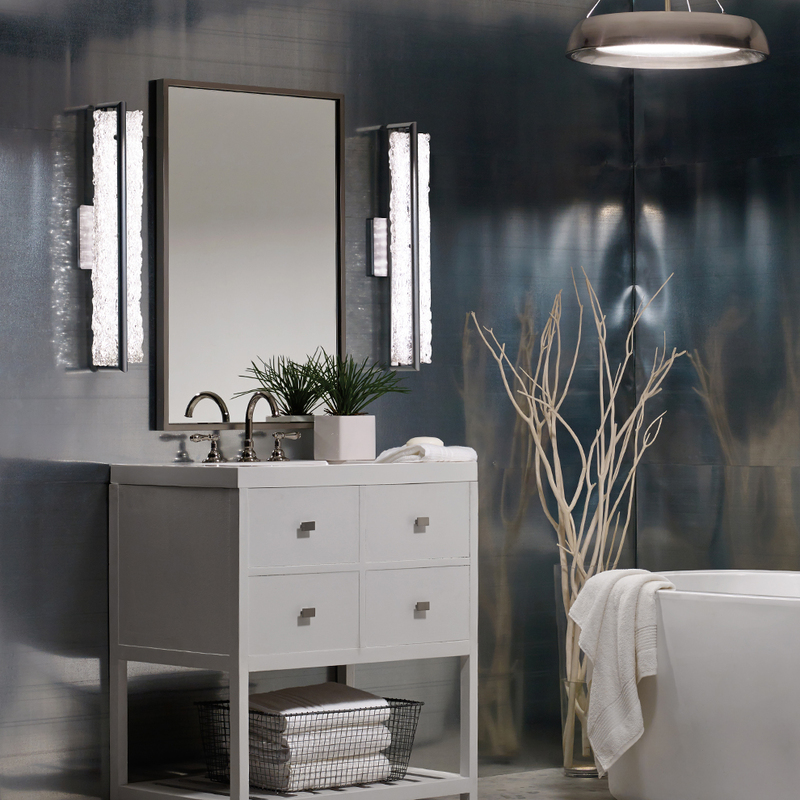 Lighting can be layered in the bath with task lighting—typically with vanity lights—and an ambient, overhead fixture. 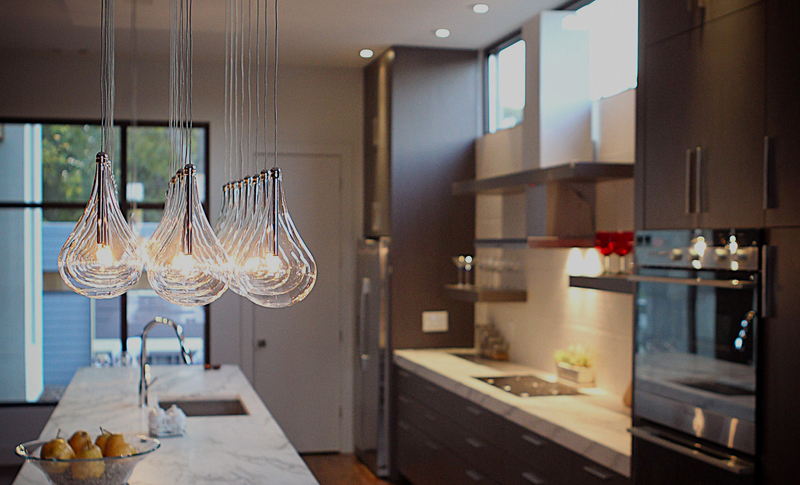 Shown here: Vetri LED Bath Bar and Soleil LED Pendant, both by Modern Forms. Focus on brightness. Task lighting is not intended to illuminate an entire room, but it still requires more lumens than ambient lighting to focus light on your workspace. Measure the square footage of your task area and multiply it by 50 to find your minimum lumen level for adequate task lighting. Adjustability is key. Choose fixtures with built-in dimming capability (or hook it up to a dimmer switch) and look for movable arms, shades and portability to customize your work areas to your liking. Get the Kelvins right. For detailed projects and comfort when reading, color temperature can be an important factor. The cool, bright daylight tones of 4000 Kelvin are great for sewing and painting model airplanes, but your eyes will love you more with a warm 2700 – 3000 Kelvin reading lamp that mimics the output of traditional incandescent bulbs. 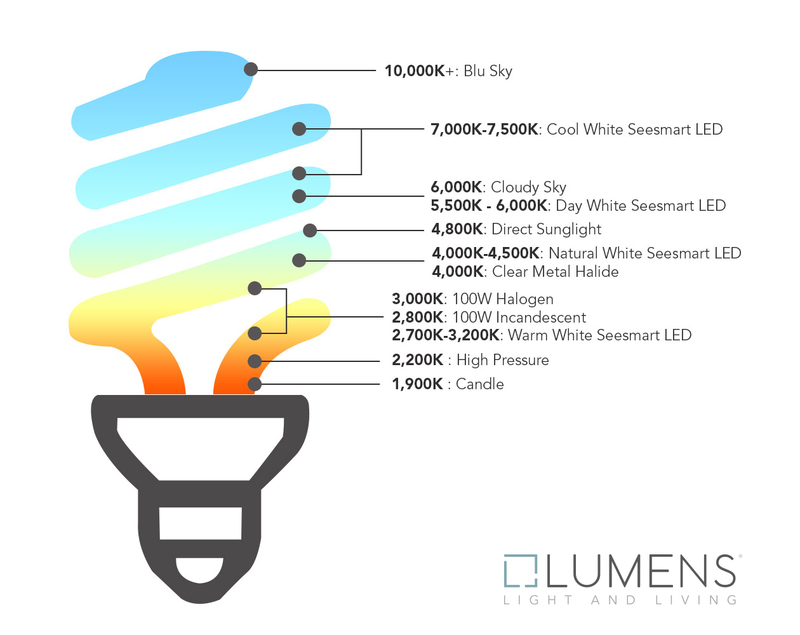 Color temperature is represented in the unit of absolute temperature, Kelvin, noted by the symbol K. Household fixtures are commonly found in color temperatures of 2700 K (warm incandescent), 3000 K (warm white halogen) and 3500 K (household fluorescent). Color temperatures higher than 3500 K are typically used for commercial and hospital applications, as the light is bright with a bluish daylight cast that can be harsh for home interiors; but task lighting may be useful at 4000 K and above. Think of this as the jewelry your room needs for its prettiest presentation. Accent lights don’t have to be functional (though they can be) and come in a huge variety of options. Uplighting a shelf or cabinet lends collectibles and china a museum-like quality, while a sparkling chandelier over a soaking tub or in the boudoir adds drama without needing to give off much light. 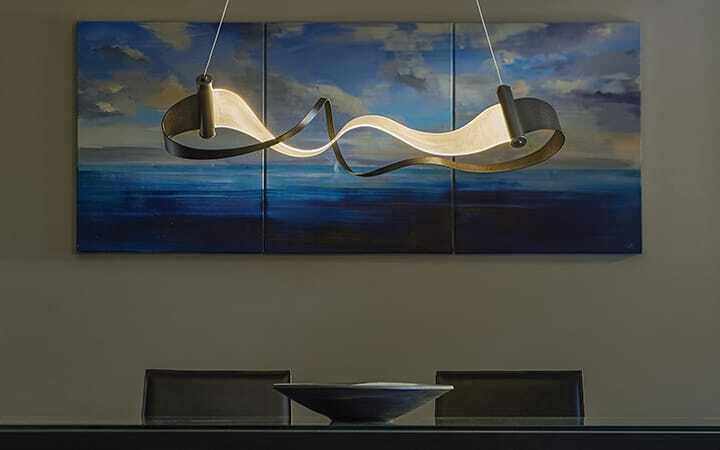 Some accent lights highlight architectural features like steps or tray ceilings, while others are standout showpieces that function as a design centerpiece. Accent lighting can serve a mostly decorative function, or can be used to to create subtle or dramatic lighting effects, such as highlighting artwork or architectural elements. 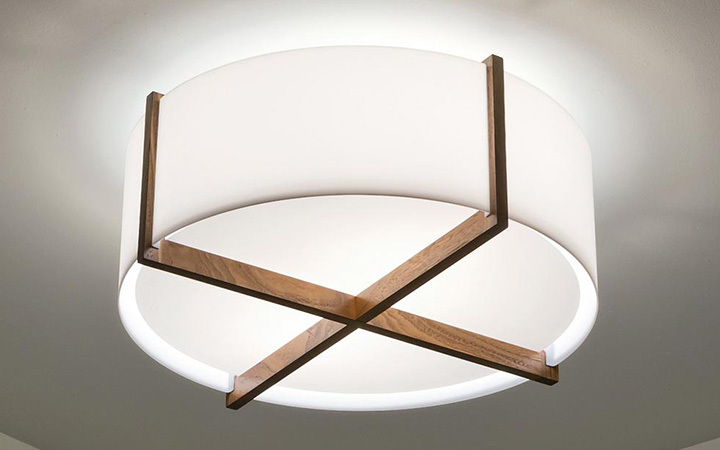 Shown here: Braxton Drum Pendant/Semi-Flushmount by ELK Lighting. Form can trump function. 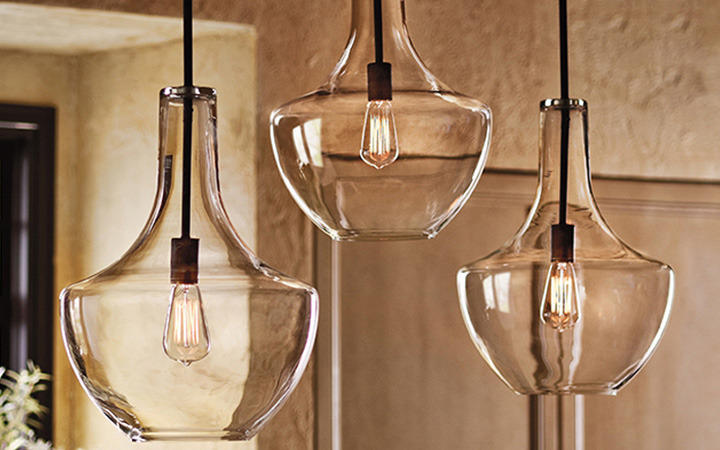 Decorative pendants, floor and table lamps that give off poor light for reading or general activity can still enhance your overall lightscape by subtly brightening dark corners. 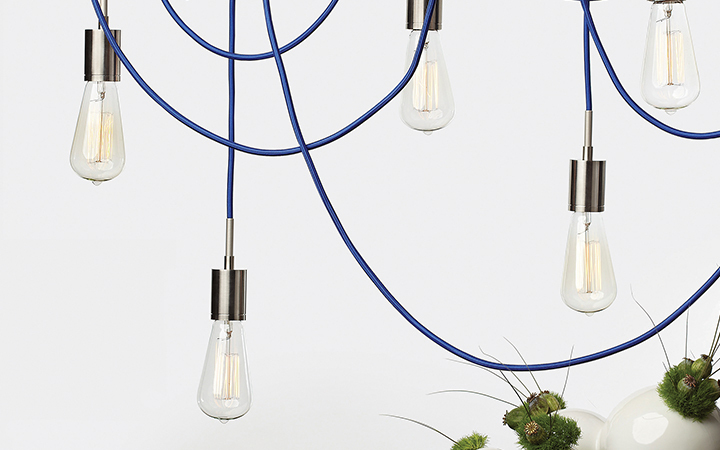 And the uber-trendy Edison bulbs are gorgeous in many fixtures, even if they lack much light output. Highlight what you love. Picture lights and overhead spotlights can accent artwork and architecture; there’s no need to think of accent lighting as an end in itself. Go crazy! Accent lighting is a free-for-all in terms of how to apply it. There’s no wrong way to decorate your space to your taste, so be bold and experiment. Combining all three layers of lighting in any room leaves you with the most options for customization. Moody accent lighting can be left on in the living room (such as a wash of color on a feature wall) while the general lighting is dimmed or turned off for watching films or cuddling up with a good read—just don’t forget your task light. 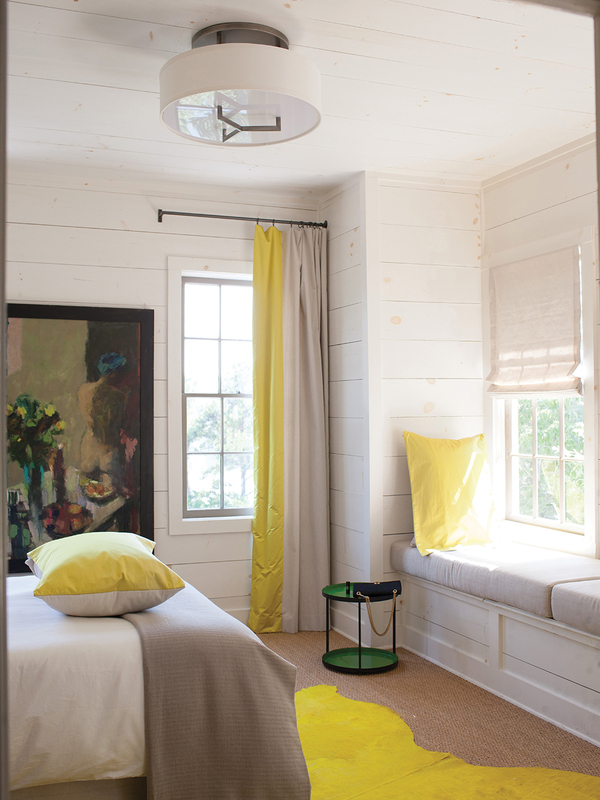 In fact, adding a dimmer switch to any or all layers can expand your opportunities to make any room feel like home. And be sure to install each type of lighting on its own switch, so that you can control each layer individually.